Bingers, I’m gonna tell you one thing and I bet this is going to shock all of you…Wreck it Ralph was released six years ago! Yes! It came out in 2012 but it feels just like yesterday. Personally, it is one of those recent Disney movies that I really loved. Well, alongside Moana and Frozen. And now, 6 years later, Walt Disney brings us back to the world inside the arcade games and even takes us further to the internet! 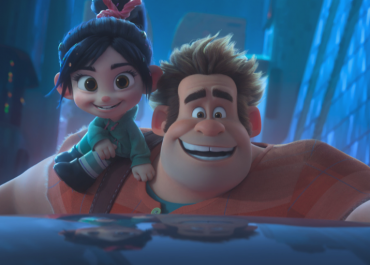 Bingers, get ready to have your internet broken because Vanellope and Ralph are back to break the internet in Wreck It Ralph 2! Last November 12, Walt Disney Philippines invited us to the special advance screening of Wreck It Ralph 2 in SM Aura Premier. It was attended by the press, media, and even celebrities! As I was saying, I loved the first one and watched it repeatedly so it was clear that my excitement for the sequel is there. And wow, it did not disappoint! With that, here are the three moments that I loved about Wreck It Ralph 2! Okay, not that I am trying to be a feminist but I love pop culture material where strong female standout. And that does not mean that they have to put down men. I am all for equal opportunity for characters in movies and in Ralph Breaks the Internet, Vanellope continues to shine with her charisma. She knows what she wants and she is eager to get it. Her drive is simply inspiring that kids and even the adult viewers such as I am will be inspired to go after what we want. Joining her in her adventure in the internet is Shank (voiced by Gal Gadot). She is a fierce character in an online racing game. Vanellope, a racer in the sugary arcade world that she is a part of, found herself wanting to be a part of something bigger, something…more! Let’s be real, when the trailers dropped for the movie, we barely had any idea what the plot is going to be about. Basically, we just knew that they will be entering the internet and meet lots of the Disney-owned properties such as Star Wars and Marvel. But of course, we cheered the loudest when we saw the Disney Princesses hanging out together in their PJs! The vagueness of the trailer worked really well in surprising me during the movie. And yes, they are not just for the laughs and for fan service. What are they there for? Well, that’s what you will find out in the movie! This may easily be the best part about Wreck It Ralph 2. When the first movie came out in 2012, talks about mental health are not that strong yet. In 6 years since it has been released, people voiced out more about the matter and the movie listened to those little voices and embraced them in the narrative of the film. While it is still practically a child’s movie, it tackled such issues and made it more accommodating for a larger audience, including the mature ones such as I am. Vanellope is this energetic, driven kid while Ralph is this man-boy with the emotional capacity of a teaspoon. Their common ground is their friendship and when it was put to test in the movie, the maturity of the story showed its real beauty. It explored the friendship between two adults and reminded us that distance is nothing compared to a real friendship. There you have it, Bingers! Wreck It Ralph 2: Ralph Breaks the Internet is more than just the laughs and the pop culture references. It tried to achieve more by adding some sense of maturity to its plot and it worked effectively. The creativity in integrating an entire world within the arcade games took me in during the first movie and as it explored the depths of the internet, I was taken in even more! With this movie, I gotta say that Disney created another hit. I am just a bit worried about one thing, though: the references are funny now because they are relevant but give them a few years from now, I fear the effect would no longer be the same.